Looking forward to attending the Toronto Mendelssohn Choir’s Good Friday concert. They will be performing the premiere of “God So Loved the Word” – 20 minute work for cello and choir, featuring John Marshman on cello. This work is a setting of the traditional Seven Last Words of Christ, commissioned by Noel Edison and the TMC. 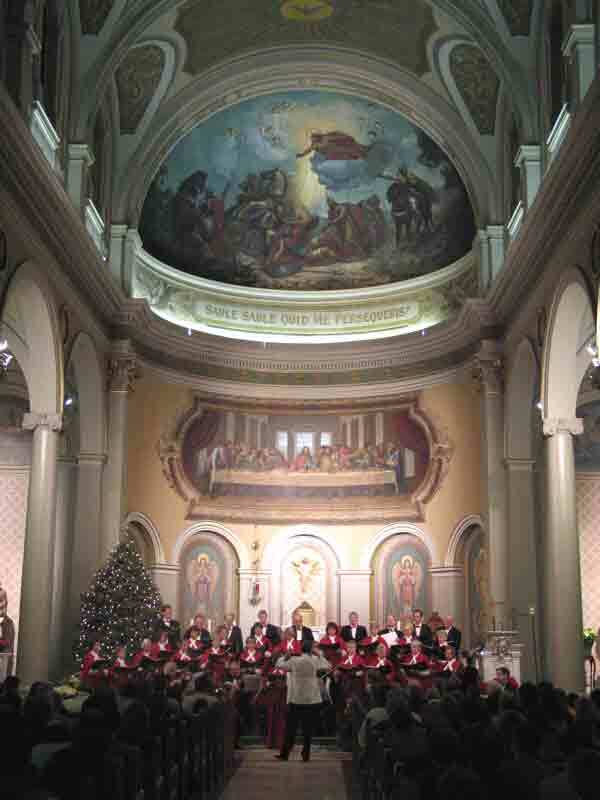 The concert is held annually at St. Paul’s Basilica. I’m fascinated to experience this space. The church was established in 1822 as the mother church of the Archdiocese of Toronto. The original building was completed in 1824. In 1887 the current building was constructed in the Italian Romanesque style. I suspect the acoustics are like nothing else I’ve experienced. My sincere thanks go out to Noel Edison and the Elora Festival Singers… also to Kemuel, Jim, and Xavier. Congratulations – this is fabulous performance! Sanctus and Hosanna from Missa Pax. Elora Festival Singers (the professional core of the Toronto Mendelssohn Choir). Kemuel Wong, conductor. Xavier Brossard-Menard, clarinet. James Bourne, piano. Performed at the Toronto Mendelssohn Choir’s Symposium concert on January 26, 2013 at Yorkminster Park Baptist Church. This concert concluded the TMC’s 2013 Choral Conductors’ Symposium led by Noel Edison. Webcast produced by Inline Digital.